Did you know you can win funding to develop solutions for sustainable aquaculture by applying to the Blue Economy Challenge? This is a call for innovative solutions that will help break down the barriers to truly sustainable aquaculture. The three challenges areas include: rethinking feed for aquaculture, designing new ocean products, and creating sustainable systems. Innovation is essential for building a sustainable Blue Economy. Ensuring the health of our oceans can contribute to sustaining life on this planet and help improve the lives of people in developing economies. But our effects on marine animals, and their habitats, are increasing in pace and impact. We need innovation to find new pathways for ocean health. We caught up with scientists working to improve ocean health through science, technology, and innovation at the 2016 Ocean Sciences meeting in New Orleans, Louisiana. Understanding the physiology of different corals was a challenge for scientists like Szmant, so she and her team developed a tool called “Kiss Me” that uses a gentle sensor to collect metabolic data from corals. “This is akin to going to the doctor’s office and having them measure your temperature and blood pressure,” she says. “They get an initial assessment as to whether your body is working properly.” This tool, Szmant says, will help researchers get a better understanding of how to protect corals by monitoring their health and wellbeing. Kiss Me is like a Fitbit for coral reefs, based on the thought that if you can measure it, you can improve it. Mitchell Roffer (@MitchRoffer) is the president of Roffer’s Ocean Fishing Forecasting Service in Melbourne, Florida. Roffer sees pollution in coastal zones as a huge obstacle to improvements in aquaculture. Pollution comes from a variety of sources: land development, agricultural runoff, pharmaceuticals that don’t get filtered out during the water treatment process, and more. But the end result is that pollutants in the water will taint farmed fish. “We have to be better stewards of the environment to improve our water quality so aquaculture can be enhanced,” he says. Bob Miller is a research scientist at the University of California, Santa Barbara (@ucsantabarbara). “One of the biggest challenges we have with ocean health right now is a lack of information about organisms,” Miller says. “Most of the animal and plant life that lives in the ocean, we don’t know what’s going on with it, and so in many cases, we don’t find out until a species is in severe decline.” Miller says that scientists need more information about biodiversity in the ocean in order to find out how pollution is affecting ocean species. 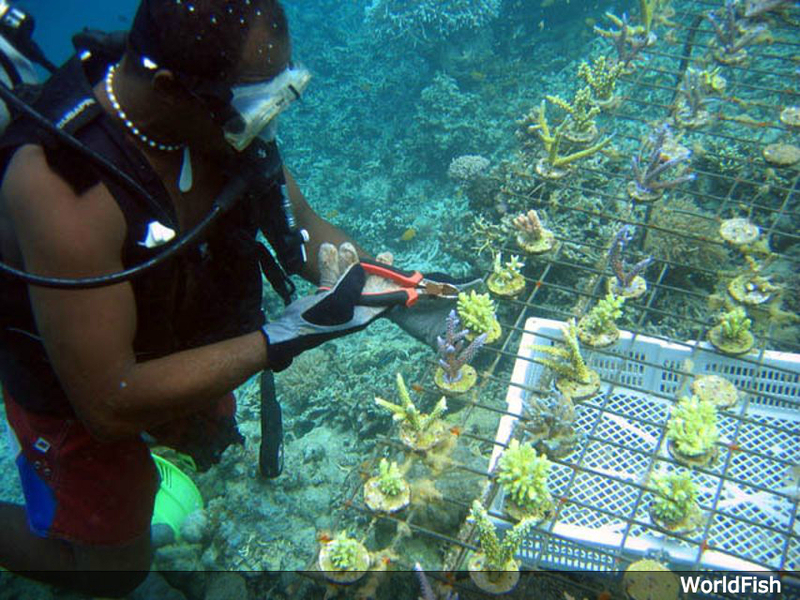 The Blue Economy challenge is open through June 30– get creative and apply! Remember to share the story of your innovation using #BlueRevolution on Twitter and Facebook. ← Iconic Aussie Restaurant Helps Spark a Blue Revolution for Oceans – You Can Too!